Two-year project to make street safer, enhance ?urban campus? 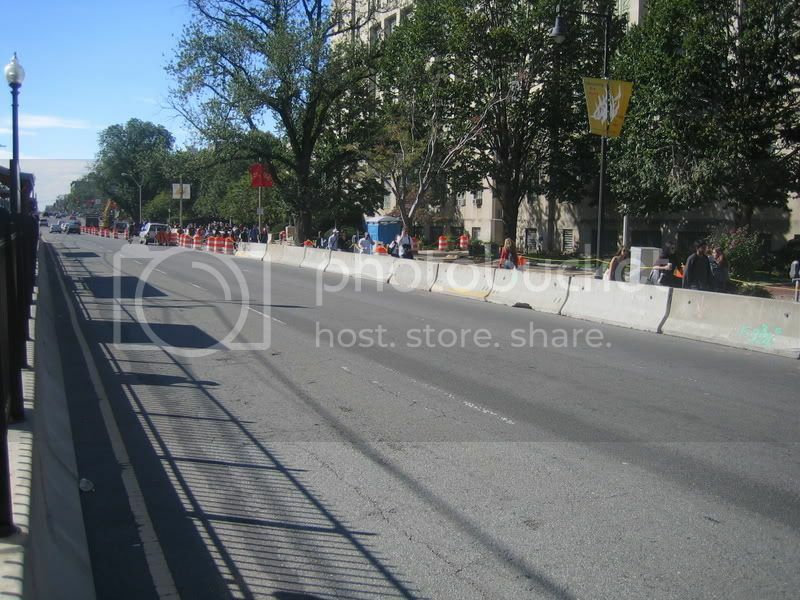 The long-planned Commonwealth Avenue restoration project got under way along with the new semester this year, bringing sidewalk detours and construction sounds to campus. Sidewalk work outside of Warren Towers was rescheduled to accommodate move-in, and the summer?s final orientation session was periodically accompanied by jackhammers. While the expected completion date is in 2008, University administrators are currently working to ensure that the BU community remains up-to-date on the stages and progress of the construction and are encouraging students and faculty to check the project?s Web site for information about what areas of campus will be affected from week to week. ?The contractors have been very willing to work with us,? says Gary Nicksa, the University vice president for operations. ?But it?s always tough ? you look to the end and see how beautiful it?s going to be, but it?s like renovating your house while living in it.? The construction is a $13 million University collaboration with the city, the state, and the MBTA that is expected to make Commonwealth Avenue more attractive and pedestrian-friendly. One of the three traffic lanes on the westbound side of the street will be eliminated, the sidewalks and T stops will be widened, and additional trees and plants will create a ?vegetative buffer? between BU?s campus and the street. 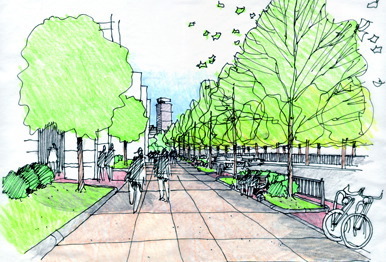 The idea, Nicksa says, is to create an ?urban park setting? for BU and give this section of Commonwealth Avenue more resemblance to the city?s parkways, designed by renowned 19th-century landscape architect Frederick Law Olmsted. 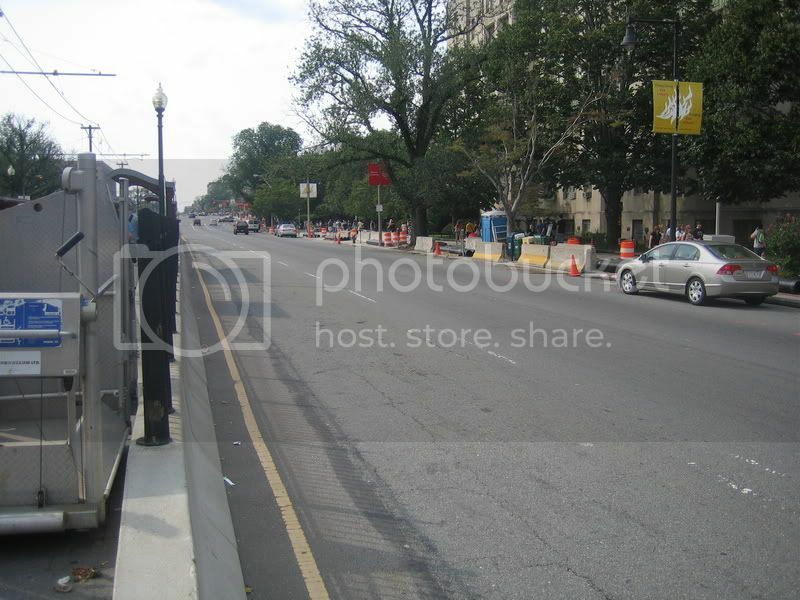 University officials began discussing the renovation with the Boston Public Works Department in 1996, with work actually beginning on the north side of the avenue, between the BU Bridge and St. Mary?s Street, in late August. The contractor, McCourt Construction, is currently setting up a temporary water main and will move on to the south side of the street, between St. Mary?s Street and Kenmore Square, in the next phase. ?The goal is to work in small segments,? says Nicksa, adding that an oversight committee, chaired by Tom Daley, associate vice president of Facilities Management and Planning, will meet with the deans and the provost on a regular basis. In addition, another Web page providing daily updates is expected to launch within two weeks, offering people a chance to sign up for e-mail updates. Although it may be hard to imagine the end result, Nicksa says that the renovation will ultimately help students feel more connected to both the University and the city. ?Right now, we have what we call a "hardscape" of concrete sidewalks and brick ? anything to break that up is going to give us a more urban-campus feeling,? he says. 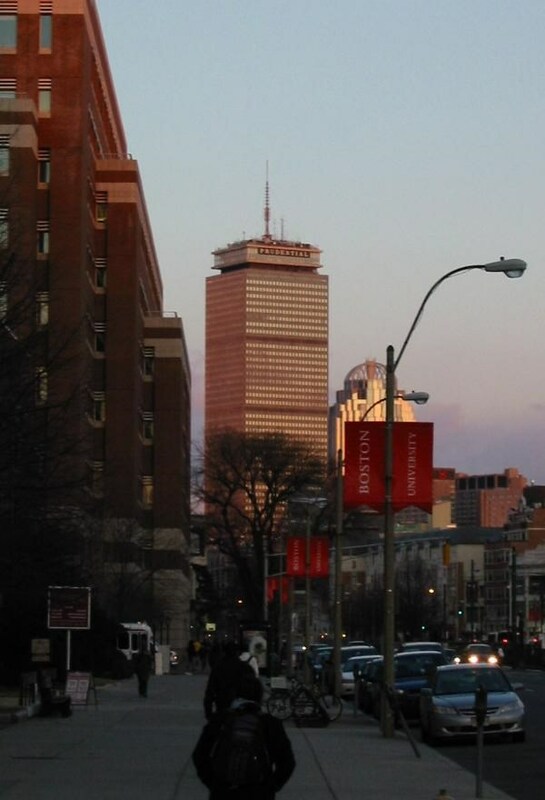 ?It allows you to be living in the city, but still have that sense of being part of BU.? speaking of comm ave. Has anyone seen a newly constructed house close to bc (not sure of the stop). It is right next to some row housing and it drives me insane with fury. SO out of place its not even funny. Like this project a lot. Almost anytime when more green is added and public areas are made safer, I am up for the project. Looks like the area will be a major improvement once it is completed. This would be a great place for a dedicated bike lane. But oh wait, this is America, we can't have nice things. I think its great that this stretch of Comm Ave has been acknowledged, urbanistically, as a very bad problem. However, I think this solution misses the mark. It seems "greenify it" has become, much to my dismay, the automatic answer to any and every urban design decision Boston has faced in recent years. In this case it fails to address the real problem that plagues this particularly bad stretch of Comm. Ave. It is particularly bad because it is a streetscape designed with an utter disregard for the public realm. BU has transformed their piece of Comm Ave into nothing more than a strip of parking lots, open plazas and buildings that are badly scaled and ignore the street. Theyre installing a "vegetative buffer" to seperate the campus from the street when they should be doing the complete opposite -- attempting to establish some kind of relationship between their bleak, very inward-looking campus and the sidewalk. It wouldnt be hard to figure out. All they would have to do is look a few blocks west, or even at whats left of their old campus. Still, at least theyre doing something, and I'll give them credit for that. But college campuses naturally are somewhat inward-looking, defining a boundary between themselves and the outside world. Look at Harvard -- they have a fence around the whole Yard, with just a few gates to the surrounding streets. BU's model should not be Harvard, it should be NYU. Suffolk and Emerson seem to have figured out how an urban campus works. I completely agree with Briv on this proposal. Planting trees will be an improvement, but it won't fix what's wrong here. The model I was thinking of was not so much Harvard as UCLA or Berkeley or Ohio State. The campus borders an urban commercial district, but still stands somewhat off from it, with a definite boundary of green. If the city truly wanted to pony up and get a job done right they'd bury the B line all the way out and make a head house at packard's corner. There'd be less congestion above ground without the tracks and busses would work fine for the students. I think BU needs to step up to the plate and ask themselves what can we do to integrate Comm. Ave. into our campus. Merely hiding the campus, through the use of greenery, is not an end-all/be-all. The real issues are the speed at which the traffic flows and the the pedestrians who cross the street whenever and where ever they please. 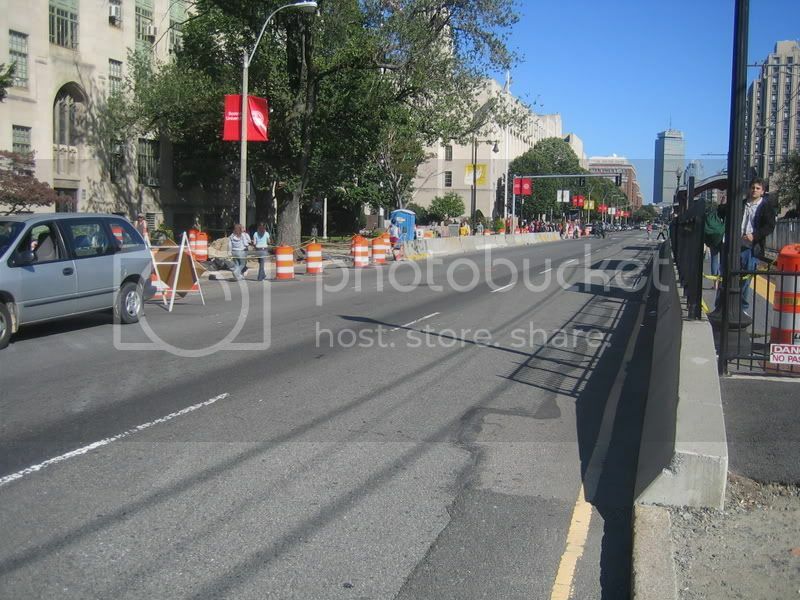 Northeastern University also has a busy street at its front door, with a streetcar median. Is it a model to follow, or one to avoid? Northeastern's campus exposure to the trolley line is considerably smaller than that of BU's. BU's campus spreads from Mass Ave to Allston (literally) while Northeastern's exposure is from the Pru stop to the MFA. This is a considerable difference. 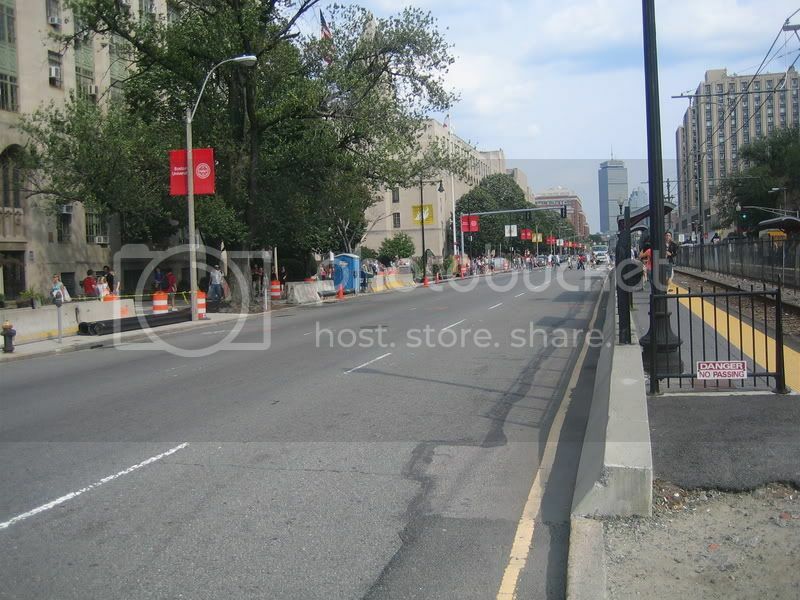 Also, Comm Ave's traffic flow is heavier and more constant than Hungtington Ave, which is also a much narrower street. Comparing these two campus situations is apples and oranges. This would be a great place for a dedicated bike lane. The best comparison I can think of is the University of Pittsburgh, which has large portions on Forbes & Fifth Ave's, both of which are wide (~4 lanes) high-speed/high-volume roads (still not as much as Comm though). There's no trolley, but Fifth has a bus lane that runs opposite traffic. (Both roads are one-way and in opposite directions, much like Ave's in Manhattan.) Urban grit is just part of the campus there, and must be for BU as well. Not that they shouldn't plant trees, but they shouldn't try to be Harvard or NU either. They can't- not unless they buried Comm Ave in its entirety, or at least the car portion. it's the grit that I like about bu. The fact that it doesn't seem like a campus, it seems like part of the city. Too bad they didn't include bike lanes in this project. The trees along the trolley path will make drivers feel they are going fast and should help reduce the speeding in this area. :? You want the green line to go even SLOWER!?! ?